Carrie, some time ago, I and others urged (more than once) that this post be made more prominent. Of course, nothing was done. I think it is a question of hierarchy within the company. 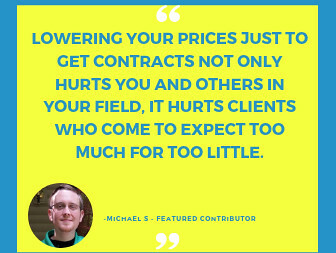 Upwork employees' feelings get hurt at the expense of new freelancers. I realize I am replying to an old post, but I think you are right about scammers targeting "newbies". 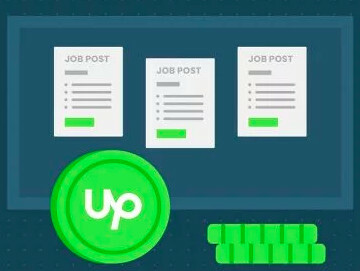 There are good jobs on Upwork. I've been on Upwork for more than a year. I haven't had a scam request in some time, and the work load has steadily increased. I think it was a month or two before I got my first contract. If you see this, I would be interested in knowing how it is going for you now, as it has been almost a year since your post. Hello, I just saw this, but only AFTER I had been scammed. This would be amazing if it were emailed to new freelancers who have just signed up or, as Nichola said, posted in a more visible area. 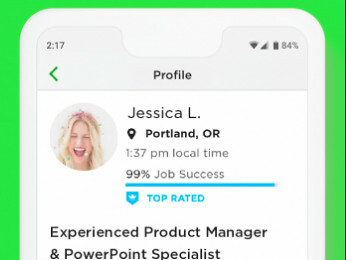 Is it because you are afraid of advertising that people can get scammed on Upwork to new freelancers? Perhaps a post that documents known scams so, list names like CJINK so that when new people come along, they can go to the post and just double check if the company they are being referred to has exhibited fraudulent behaviour. I'm only a newbie but did a lot of research before I started, and thankfully I did. I can only imagine how many people have fallen for their "buy the workstation". I actually did a bit of research into their company and what the official CJINK website and what the people claiming to be from CJINK say are very different. It instantly rang bells for me as they were asking me to buy their workstation and make a totally refundable payment to have access to the jobs. When is Lena's post going to get official visibility? Why is this post not in the fixed-threads-section of the "freelancer" part of the forum? Meanwhile an estimated 25% of postings there are from newbies having been defrauded by one of the scams described by the OP. Edited to add: Ok, not all of them actually were defrauded. Luckily some were bright enough to dodge the bullets, but still these safety precautions need to be posted permanantly on top of the relavant sections of the forum i.e. "Freelancers" mainly. There is also a thread about this in the Freelancer Forum. This is the content area, where only very specific data is stored, and it's ONLY an educational area. That is to say, we can discuss, but only the Mods put posts here. I should add that Upwork is fully aware of the number of scam posts that are being posted, and they are working on updates to the Forum even as I type this. We don't have an ETA yet on these big changes, but my fingers are crossed that it happens before the end of 2016 (the changes are complex beyond what you might belive). You probably mean the tread "Job warning signs". This one is so long, it is daunting to see these many pages. I doubt it looks very attractive to noobs to read this much. I think a short summary like the original post here should be there in the fixed section or somewhere above or be in a package that all noobs have to read before their profile gets approved. Even a mandatory test covering this topic would make sense IMO. Good to read this. I sure hope for the best. Some effective measures against the spammers would sure add to the attractivity of this site.